This program is an example of writing some of the features of the XlsxWriter module. 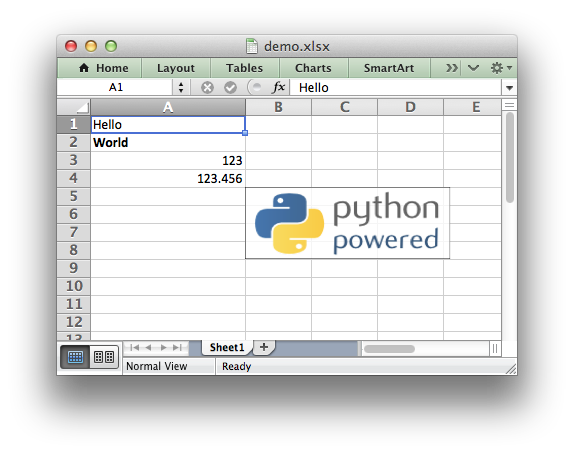 # A simple example of some of the features of the XlsxWriter Python module. This example includes the use of cell formatting via the The Format Class. Strings and numbers can be written with the same worksheet write() method. Data can be written to cells using Row-Column notation or ‘A1’ style notation, see Working with Cell Notation.